Princeton took care of business in the Big Easy, topping Tulane 56-55 behind 16 points from Hans Brase. 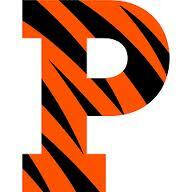 The Tigers continued the Ivy League’s creditable showing in the 2014 post-season with a 56-55 victory over the Tulane Green Wave in the opener of the College Basketball Invitational in New Orleans. Princeton was in control of the contest throughout, although Tulane made a strong run at the end. The Green Wave clearly missed the services of leading scorer Louis Dabney, unable to take the court due to recent injury. TJ Bray, mistakenly identified as “Ivy POY” by the Tulane play-by-play announcer, showed once again why he deserved consideration. Bray joined the Princeton 1000 Point Club with 12 for the game, to go with 9 assists. His 370 assists Red/Black, Even/ Odd, Low/High BetsVoit asettaa panoksen yhteen sarakkeista joka on poydan pitkalla sivulla. leave him just 11 shy of second place in the Tiger career record book. Hans Brase led the Tigers with 16 points. A second Your access to health care is no longer in the hands of health affordable-health.info companies. half charge, sparked by Clay Wilson’s three 3’s in a span of 7 minutes, stretched the Tiger lead from 7 to 14 midway through the period. The Tigers held on from there, withstanding a furious Green Wave effort to avoid a .500 record for the season. With 31 seconds to go, the Tiger lead was seven. Two late 3’s pulled Tulane within one as time expired. Princeton, now 3-0 in all-time first round CBI action, travels to Fresno State for the second round on Monday night. Ken Pomeroy projects a Fresno State victory at home, but Tiger skipper Mitch Henderson believes his club has a good shot to pull off the upset.